First of all, let me say that a lot has happened since I wrote the review of Monat Revive Shampoo. Be sure to read this post comments as well as click on the links provided at the end of the post for more information on the latest developments. 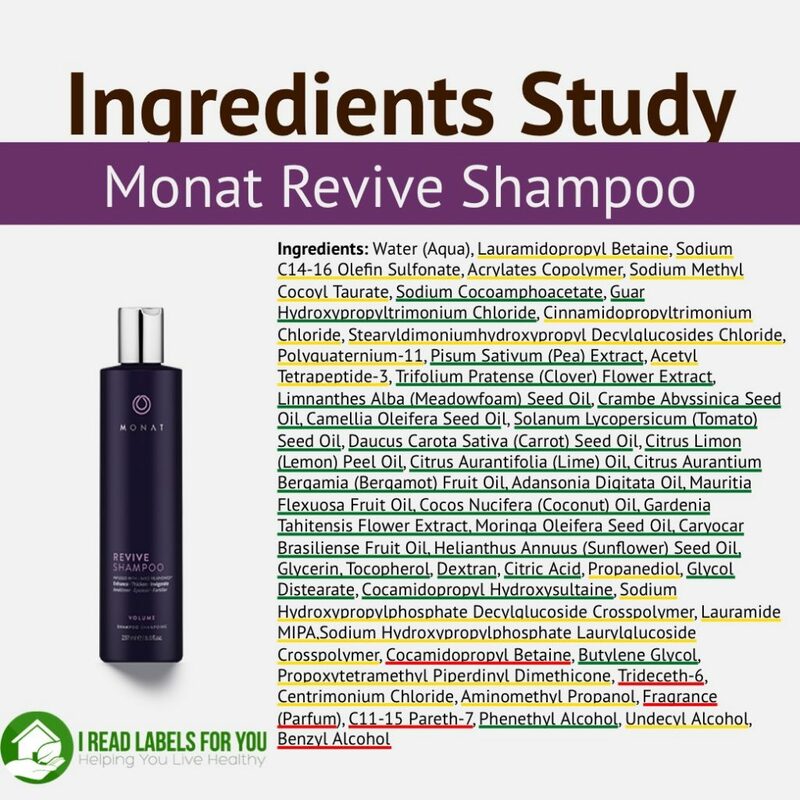 Monat Revive Shampoo has the longest list of ingredients I have ever seen in my experience reading shampoo ingredients almost daily for the past 5 years. (Check out the results of my long-term hair product research in my Shampoo and Conditioner Rating List). Second, you will probably read lots of enthusiastic reviews for the Monat Revive shampoo. I could have been paid very lucrative commissions, too, for promoting Monat’s expensive products but after reading each ingredient, I decided that Monat products, including the Monat Revive shampoo, do not adhere to my standards. Monat Revive shampoo is also probably the shampoo with the highest price tag I have seen. 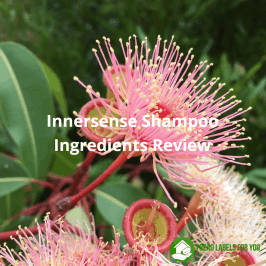 In this post, let’s focus on the ingredients underlined in red and how this shampoo might give you a look of thicker hair. There are two ingredients – Cocamidopropyl Betaine and Benzyl Alcohol – that are associated with contact allergy. Typical symptoms of a contact allergy (its clinical manifestation is allergic contact dermatitis) include redness, swelling, itching, and fluid-filled blisters, which are more severe symptoms than the symptoms of irritation. Also, the difference between an irritant and an allergen is that an allergen (aka sensitizer) causes the allergic contact dermatitis after repeated contact with the allergen over time. So, if you used the Monat Revive shampoo once and did not experience any symptoms, there is no guarantee that you won’t have a reaction sometime later. Cocamidopropyl Betaine is a surfactant that makes a shampoo lather. It is commonly used in so-called “natural” shampoos as a better alternative to SLS (sodium lauryl sulfate) or SLES (sodium laureth sulfate). The proponents of Cocamidopropyl Betaine (CAPB) claim it is safe, based on the fact it is derived from coconut oil. I encourage you not to fall prey to this marketing technique and read what the medical branch of Dermatology has found in its research. Yes, CAPB is manufactured by reacting coconut fatty acids with 3-dimethylaminoproplylamine (DMAPA) to produce amidoamine, which is then combined with monochloroacetic acid to get to CAPB (source). It does not sound like CAPB is a natural ingredient to me. Does it sound natural to you? That fact that coconut oil is used to make CAPB becomes irrelevant, in my mind, when we learn that some amounts of the two chemicals DMAPA and amidoamine remain in CAPB. Commercial-grade CAPB can contain up to 3.0% amidoamine and up to 0.02% DMAPA (source). The first reports of allergy to CAPB were published in 1983. The first two case reports were women with red lesions, which cleared after they stopped using their shampoos with CAPB. After that, many cases have been reported in association with shampoos, liquid soaps, bath gels, toothpaste, contact lens solutions, make-up removers, and hygiene products, with a range of incidence between 3% to 7.2% (source). In fact, American Contact Dermatitis Society named CAPB the 2004 Allergen of the Year (source). And lastly, in the Environment Canada Substance List, CAPB is marked as being toxic to aquatic life. True, benzyl alcohol is an aromatic alcohol found in many naturally occurring plant products such as balsam of Peru. It is also a naturally occurring component of essential oils such as hyacinth, jasmine, and ylang-ylang oils and even of foods such as apricots, cranberries, cocoa, honey, mushrooms, and snap peas. However, when used in products, it is synthesized in labs by reacting benzyl chloride with sodium hydroxide (source). In personal care products, it is often used as a preservative. I do not have any information as to what concentrations of benzyl alcohol is used in the Monat Revive shampoo. Fragrances are normally undisclosed mixtures of a long list of various chemicals. The FDA does not require companies to disclose the ingredients of fragrances. On my blog, I recommend products made by companies that value transparency. Thus, I recommend products that have only natural scents that come from essential oils and/or plant extracts and oils. Fragrances have been associated with allergies, dermatitis, respiratory distress and potential effects on the reproductive system. They are rated 8 out 10 (10 being the most toxic) in the Skin Deep database. There are two ingredients – Trideceth-6 and C11-15 Pareth-7 – that are made with a process called ethoxylation. What are the problems with this process? To begin with, most manufacturers use harsh petrochemical raw materials. To make them less irritating to the skin, ethoxylation is used in which ethylene oxide is added. As a result, traces of un-reacted ethylene oxide might be left in the final product. Moreover, 1,4-dioxane gets created during the ethoxylation process. Unless a manufacturer uses the vacuum-stripping method to get rid of 1,4-dioxane, the dangerous chemical can remain in the shampoo. For a full list of ethoxylated ingredients in personal care products and how to spot them, visit here. Even if the company makes sure that there is no 1,4-dioxane left in the Monat Revive Shampoo, I am not very enthusiastic about ingredients the manufacturing process of which includes two carcinogens. 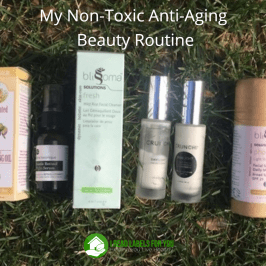 On my blog, I do not recommend products with ethoxylated ingredients. Does the Monat Revive Shampoo make your hair thicker? I am not familiar with any independent studies illustrating that by using a shampoo you can increase hair growth, or make hair thicker and stronger. 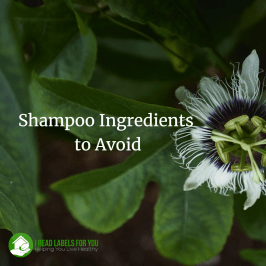 Keep in mind that contact with shampoo is short and relatively infrequent. I had a hair-thinning problem and took the time to look for any independent studies on this subject. (Please visit here to find out how I solved my hair-thinning problem and what you can do today.) But my point is that I was unable to find any scientific studies proving that hair does get thicker by using shampoo. On the other hand, I noticed that there are quite a few ingredients that I believe coat the hair, which I assume would make the hair look and feel thicker. I have not seen so many coating agents in one single shampoo including even Acrylates Copolymer that I normally see in nail polish as a film former and in hair sprays as a hair fixer. So, what do you think? Do you think it is worth $35 for 8 oz? Let me know in the comments. I personally would not use this shampoo even if they send it to me for free. And last but not least, please visit Better Business Bureau to read numerous complaints about Monat products and their customer service. This is the most comprehensive review I have seen of what has panned out since I first published this post. Irina, I am very interested in your hair-thinning problem and solution. I am using minoxidil. I have been using minoxidil for 2-3 years. It does stop the fall-out and stimulates some but not complete re-growth, but only as long as you keep using it. I use it twice a day, as recommended, but if I skip now and then, it’s not a big deal as long as I get right back on the routine. I have heard the complaint that it causes dandruff but I believe that the white flakes are a result of using too much resulting in it collecting on the scalp and chipping off. The simple solution to that is to not apply too much. I have taken all the recommended vitamins for thinning hair — biotin, folic acid, fish oil, etc. — for at least 3-4 years and still do. I cannot say that this has helped but it hasn’t hurt so I continue taking them. Yes, as a matter of fact, I had a long discussion and lesson with my doctor about the thyroid and pituitary glands, TSH, and T3 and T4 just this week! He, at least, is certain that is not the source of my problem. i just bought my first 400ml 2 weeks ago. it is really really expensive . it does feel well and my kids who are swimmers like how it wash chlorine out… but i am not sure that price justifies it. I used it since October and really like it. simple one step and leaves hair clean and feeling great. I have tried Hairprint chelating shampoo for last 2 washes as I do use their hairprint and need to prepare the hair. As per your suggestion i also bought other types to try.. so far i really feel the difference in hair and washing quality with New wash winning by performance, but loosing by price. I’m curious to know about new wash too! I do use it and like it. even though it’s not the most non-toxic option out there. I have thick curly hair and need a conditioner (which this basically is) that is really moisturizing and emollient to cut through my tangles. 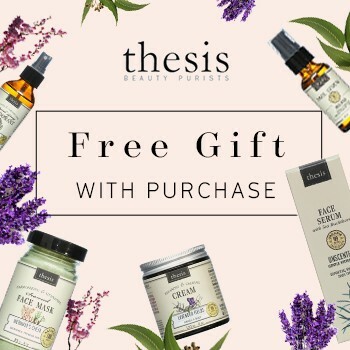 Even though there are some ingredients that I don’t love, from my email exchanges with the company, I know that it is at least paraben and phthalate free, but I’d love your thoughts on the ingredients as well. Thanks Irina for all that you do! Hi Irina, I would definitely like to hear about how you got a handle on your hair thinning/falling out?? As goes for shampoos I use Aubrey Organics Green tea shampoo, especially in the summer because Green tea is naturally sun protective…. I HOPE that their ingredients are OK!!! Do you know? My hair has been thinning for several years now. I am 52 and have very little hair on the top of my head. I used Minoxidil for several years and it did seem to help some. I stopped a year or so ago. I have had my thyroid panel done and it is normal (with some borderline normal results). I am on Estrogen and progesterone HRT and have taken vitamins for years. My iron level is normal. I was told by my hairdresser that Nioxin has helped to grow hair in some of her clients. I am currently using Everyday Shea Shampoo by Alaffia. My dermatologist has not helped. I feel desperate. Did you really notice new hair growth using Hairprint shampoo? I was curious about how you solved your hair thinning problem too. Was it to do with a thyroid problem? Excellent information from your research. Thank you very much. My hair has been dropping out like crazy from the roots, so I’m searching for solutions. There are lots of “success stories and photos” on the Monat website. Very tempting, but expensive. Is there a safe shampoo/conditioner that is known to help with hair growth, one that people brag about? Looking forward to more of this as I get to know your web site. Just curious why you didn’t cover the ingredient Acetyle Tetrapedptide-3 which is the ingredient in the shampoos and conditioners that has studies in the hair care industry that result in hair growth? It’s included in the diary of Monat hair ingredients, but it was not created by them. They took this ingredient and added it to their formulas for hair growth after researching the ingredients on the market. Studies done by Lucas Meyer Cosmetics and there are other companies using this ingredient with their formulations for hair growth as well. I also wanted to point out that Sodium Hydroxypropylphosphate Laurylglucoside Crosspolymer and Sodium Hydroxypropylphosphate Decylglucoside Crosspolymer are BOTH SURFACTANTS which means they ingredients that are used to remove and cleanse the hair not coat it. My personal experience using monat products at a party a friend of mine was throwing was the next morning when my scalp was burning. I looked up reviews and immediately washed my hair out. It hurt just to gently touch my hair. Never had that happen with any shampoos even more natural ones. Its actually an ingredient that’s being used as an alternative to the chemical based hair growth products in European countries and studies. So it’s interesting that MONAT is the only one getting noted for it here in the states. I am a rep with the company and as such have spent my time looking into ingredients, benefits, downsides, etc especially in the curly world. I also find it a bit miss leading to mention that there are a LOT of ingredients when 1 of the clusters is actually the blend of oil signature product. I’m glad you’ve taken the time to highlight some of the ingredients, since a lot of people aren’t even that aware of what they are using but at the same time it is important to walk objectively through label reading, if that is what we are doing right? Lia, I need to get in touch with you. I am trying to research each ingredient and it is exhausting. It sounds like you have already done a lot of that. Will you message me at krisjack523@gmail.com? what is the green and yellow highlights mean? Thanks for your informative review. I used monat for months, what a huge mistake, my hair is ruined. That stinks you didn’t get the results you wanted. I have been using Monat for months, my hair has NEVER been better and absolutely love the results I’m having. My hair is softer, shinier, doesn’t take as long to blow dry, straighten or curl. I’m interested in knowing how you solved your problem of thinning hair. Thank you! Can u tell me – does the Monat shampoo and conditioner take the dye (colour) out af a persons hair – since I’ve been using the product my colour doesn’t seem to last at all. Also after 6.5 months my hair seems to be tho Ming out again on the top of my head – – damn!!! Monat doesnt remove color from the hair but it removes product buildup and any other particles that attatch to your hair that color often attaches to. Kind of like clear tape thats covering your hand, if you put marker in the clear tape it looks like yoy colored your hand but when the tape is removed so is the color…this is whats happening with hair. Chat with your market partner…there are many stylist who’ve covered this observation. As for thining, there are a few things that could be involved here as well,normal hair shedding cycl, not properly runsing, if you’ve changed your shampoo of choice that can also make a difference. I’ve been using MONAT for 8 months and to start out my hair was horrible but after 8 months of using MONAT my hair is like brand new like it was in my teens. Long thick and shiney. Never been happier with a product. I know this may not be the proper place to ask this question…. but I am looking for a low toxin hair mousse that does not have alcohol in it. I bought a very expensive one from Intelligent Nutrients that was one of the best rated on EWG website but it has alcohol in it. My hair and scalp are already extremely dry so I don’t want to use it. Does anyone have any suggestions ? Hi! Please look into using Armour thyroid instead of synthetic thyroid. I was a mess on levothroid and synthesis I started armour 5 years ago and I feel n look much better. I have found that men do better on synthetics. My father and son both have hashis as well. Thank you Irina! I almost got sold- and I’m a hairstylist! I do have many clients with thinning hair. Ill check out the brands you suggested above. I have always told me clients that hair loss cause comes from within the body, and the only fda approved topical ingredient is monoxidil, which I don’t reccommend. Is that correct? Hi, I would love to know more about the hair thinning problem/solution. Thank you for this post. I’m a hairstylist and I have been getting pressure to buy into Monat. I don’t trust MLM’s and so I have been looking for some honest reviews on it. I feel like this was a very honest non biased review and it gives me some information that I can use against the people pressuring me. Thank you! Would any of these ingredients affect your liver or vitamin D levels? I have been researching this brand extensively, and am wondering about Capixyl. I am being told by reps that this ingredient blocks DHT (dihydrotestosterone), which is what stops hair loss/thinning. When I dug into it, I learned that what it’s really doing is inhibiting 5-alpha-reductase, which forms DHT. When I dug into what 5-alpha-reductase inhibitors do, and the potential side effects, I am wondering – is this product essentially a hormone blocker? If so, I would think it would be a poor choice for men, women who are estrogen-dominant, or pregnant women. The other thing I have learned is that when you stop using this ingredient your hair goes back to the way it was. I am not a scientist or a researcher, just someone who tries hard to buy safe products, which is why I am posting here, hoping to get your opinion on this. thank you. Hi Irina, What shampoo do you recommend for those with sensitive scalps? 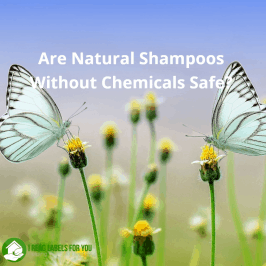 Do you have a list of shampoos without the 2 allergens as mentioned above? Went to the doctor yesterday for what I thought was pink eye and blistering itchy hives all over my scalp, forehead, and left eye and my eyeball is red (where I sweep my bangs over). Doctor asked me what shampoo I used. Monat I answered. She said I am her second patient that has come in to see her with this. I told her I have been using Monat for years. The other patient had too. For the other patient they tried everything to stop the blistering hives, all kinds of treatments for weeks. Nothing worked until they troubleshooted different products she used. When she stopped using Monat, her hives stopped. I really loved Monat until this happened. If there was a way I could upload a picture I would. I’ve been using Monat for over a year and have loved it until a few weeks ago. My scalp suddenly started itching like crazy and now have a few sores started from scratching also my back keeps getting a rash for a couple of months now and I’m now thinking it could be from the Monat products. This morning I used another brand shampoo and conditioner it is still itching and hurts in spots but no ways as bad as before. I am going to discontinue use and hope it clears up. Disappointed also because I loved the product and my hair was looking better. 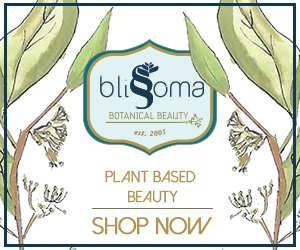 I found this website when googling “I am allergic to Monat”. I had been using it for 6 months and loved. And I developed an itchy scalp all the time, which turned to dandruff. I thought it was in relation to some stress I was going through in life. It eventually turned to blistering sores. It was embarrassing to be itching in public all the time, and gross to have those sores on my scalp. It took almost 3 months to heal (without treatment from a doctor or anything, I thought it was stress related). So I went back to using the Monat products. Two days back to using Monat and my face and scalp itched like crazy, so I stopped using and am still waiting for my scalp to heal again. I’m sorry others have had a reaction too, but glad to know I’m not alone. Reading the description about the allergens and how they aggravate after repeated contact with the allergen explained my situation perfectly. Are the ingredients underlined in colors that coordinate with the EWG database? That answers my question perfectly thank you! I just noticed on EWG that some of the ingredients underlined in red were actually green. Or vice versa so I was wondering why – but I see it’s your opinion not a direct link to what they say! Was just curious thanks. Yep I know that. But no safety data doesn’t necessarily mean it’s bad either. There are so many things to be considered when weighing whether something is safe or not. Concentration, amount, form, type of exposure etc. I’ve done some very thorough research on most of the ingredients in this list as well. Hello, I had a horrible experience with Tints of Nature Hair Colour. I have used over the counter dyes for over 15 years and never had a reaction. I thought this was organic and I bought it on a whim in the local health food store believing it was this premium product and why not ” I work hard I’m worth it attitude. I used it once October 2016, had a little tingle but thought nothing of it as they use different oils and thought maybe rosemary or peppermint. I used again January 2017 and did not have any indication of any sort of reaction or problem. Life as usual. I had never heard of hair dye reactions before this. Within approximately 2 weeks I became deathly ill with severe flu like symptoms, went to my doctor was prescribed antibiotics and sent home. Within the next week my head was on fire and my hair started coming out in chunks. I couldn’t for the life of me figure out what was going on and frantically ran from doctor to doctor, back and forth from health food store to health food store looking for relief and answers. No one had any. It was a total nightmare and by the end of 8 weeks I had lost most of my hair and was in excruciating pain. The hair kept falling out for over 5 months. My body went into total shock, I think I was walking dead. My eyes even had lightning bolts, vision blurred, ringing ears, fever, sweats and my head was zinging. Even the hair stopped growing on my body. After many emails to Organic Colouring Systems and many doctor visits who kept sending me home I finally got a reply from Tints of Nature and the director scheduled a call with me. He offered The REP Hair Follicle strengthening System Free to grow my hair back. I was almost bald and had sent them many photo’s over the months. I tried it for 3 months , a strict regiment, everyday with hopes my hair would sprout and follicles would produce. Long story short it’s now been 13 months and I still have a sore scalp and my hair is damaged and so very very thin. I have had months of steroid injections and now I finally gave in to Minoxidil. I am scared to death but doctors are so in tier own world and really have no clue how bad this effected my health. One trip to Vitamin cottage changed my life. I use to use chopsticks on top of my head and now I use a little baby clip. I wonder if the Red Clove or Capixl had anything to do with it not growing and continued hair loss? There is a lot of talk about the ingredients in Monet and I find them similar. I would share photo’s as it was horrifying…especially not having a clue to what was going on. The last Doctor said I would have never reacted to a 24 hour patch test because my reaction was delayed by weeks. He said there must have been high amounts of PPD or another chemical that cause such damage. I am sick over this and now worried about this product I was lead to believe would heal me and grow my hair, so being trustworthy I tried it. Do you know if they are the same ingredients Monet and REP-HAIR? I can’t figure out why I still suffer and have grass hair. I wish I would have found your article sooner. I used Monat for 6 weeks. I’m sure it works for some people, but it only made my hair look stringy, my scalp itched all the time and my hair would fall out in clumps. I quit using it 4 days ago and wouldn’t you know it, my hair stopped falling out… weird coincidence? Either way, I’m done with their products. Is the Revive the only Monat shampoo with the harmful ingredient? I had been using the IRT shampoo for several months along with the Smoothing shampoo (which is not in their regular line) and never had a problem. I started using the Revive shampoo several weeks ago and my scalp has started itching over the past two weeks. Does Monat’s other shampoos have the same ingredients that cause this itching and hair loss? I have lost over half of my hair ….my head burns all the time with small periods of relief ? I stopped using this product 7-8 weeks ago and only used 6 times …My hair continues to fall out …Nothing is helping …This is new information for me .I hope I can find an answer before I am completely bald .Thank you .Thank you a thousand times !!!! Thank you for all answering my worries so clearly. I was asked to try this ‘natural’ product and, while it seemed very nice, I found the list of ingredients impossible to understand. I can now see why it rang alarm bells. I am VERY anti palm oil products and do not think my hair condition is worth the life of an orangutan. I have thinning hair due to thyroid issues. I have found that using a natural shampoo and conditioner that gets and keeps your scalp healthy will help to regenerate growth because your hair follicles are not plugged up from different products. I use 100% Pure Honey & Coconut Shampoo and Conditioner and have noticed new growth. My scalp no longer is itchy and my hair is soft and shiny. The health of your scalp can make a huge difference. Irina Great article review, thanks. Yes, I’m a little bias since I use Monat and it works really well for my hair, but I think it’s a little unfair to call out the price when it should be compared to other salon level products. I used to use “all natural brand” Oribe commonly found at salons near me which was almost $50 for the same size bottle. Let me start off by saying, I used the products for a year and did enjoy how my hair responded. However, do to the overpricing of each product- I decided to cancel my VIP membership. When I could not find the “disenroll” option on my page, I emailed support. This is where I choose to NEVER speak highly of Monat and will never consider becoming a member in the future. I was told in order to cancel my membership I will need to pay a $19 or $25 CANCELLATION fee. This is due to not having 3 flex shipments of $84 each. Now, let me put this into perspective for you. In my year with Monat, I spent a total of $406.81. The total with 3 shipments of only $84 is $252. Since I had one shipment that was only $77.40 and the others only $64 (with my initial order being $109) I do not qualify and MUST pay this cancellation fee. Beware, this company is a money scam! The products are NOT worth the price and the company has added ADDITIONAL costs since I joined. Save yourself the trouble and order from respectable companies who are honest, have great products and require NO membership or hidden cancellation fees. MP will tell you monat never lost a court case, HA dont let that fool you, they probably settle so they dont even have to go to court, they have an excelling PR/marketing team that hides their dirty work. When I first tried this product I was told detox would be a month depending on how much build up needed to come out of your hair.. so you were misinformed about detox … secondly if you received your money back just as their guarantee states then it clearly isn’t a scam my friend… I’ve been a customer for over a year , no complaints ! I’ll keeping buying this product , even though it appears more pricy , just as the rep told me it does last a long time , my current bottle I’ve been using for 5 months. So actually cheaper then most brands. And from my understanding the way vip works is that you get a cheaper price by commiting to future orders, but it’s optional you can pay full retail price and not commit, which is what I initially did. I’ll just say it out right. I’m a Monat Market Partner. I really appreciate what you are doing on your website. I’m grateful for the factual parts in this post. I’m excited to look into those things more extensively myself to become more familiar with the ingredients that you define as toxic. There are other things in this post that I’m having difficulty reconciling. 1. I don’t understand why you are going on and on about the price. I noticed that someone in the comments asked you for a recommendation for a product that grows hair. Your link took me directly to Amazon and the price of the 8oz bottle is $41. That’s more than the cost of Revive… I’m confused. Can you clarify? 2. “Long Ingredient List” – Did you make that comment because less ingredients is a sign of a healthier product? If so, I agree. Although, with Monat products 13 of the ingredients are the list of essential oils that make up Rejuvenique Oil. Maybe it would behoove Monat to qualify that in the ingredients by writing Rejuvenique Oil with the 13 oils in parentheses? Would that make the ingredients easier to understand? 3. Monat prelaunched in the UK in February. None of Monat’s products were reformulated to meet European standards. This a should answer the Benzyl Alcohol question. Revive contains 1% or less of that ingredient. 4. I agree that the fragrance ingredient is a problem but not all Monat products contain fragrance. I’m curious, have you called Monat to ask for the fragrance ingredients? 5. Would you be willing to respond with a list of companies you earn commissions from? 6. Rejuvenique Oil – there a few rare essential oils in this mix a couple of them are ancient and do themselves aid in hair regrowth and one helps anchor the hair more firmly into the hair follicle. A couple of the oils cause the new hairs to regrow thicker. They don’t thicken the hair that’s already grown and on the head. 7. When someone asked about Miloxidyl in the comments why didn’t you immediately explain that it’s a pharmacudical drug? It’s incredibly toxic. This is the active ingredient in Nioxin, yet you did not hit this ingredient or product with such vim and vigor that you hit Monat. 8. The reason the comments and reviews were removed from the BBB website was because a federal court in Florida ruled the ones removed to be fallacious or fictitious. 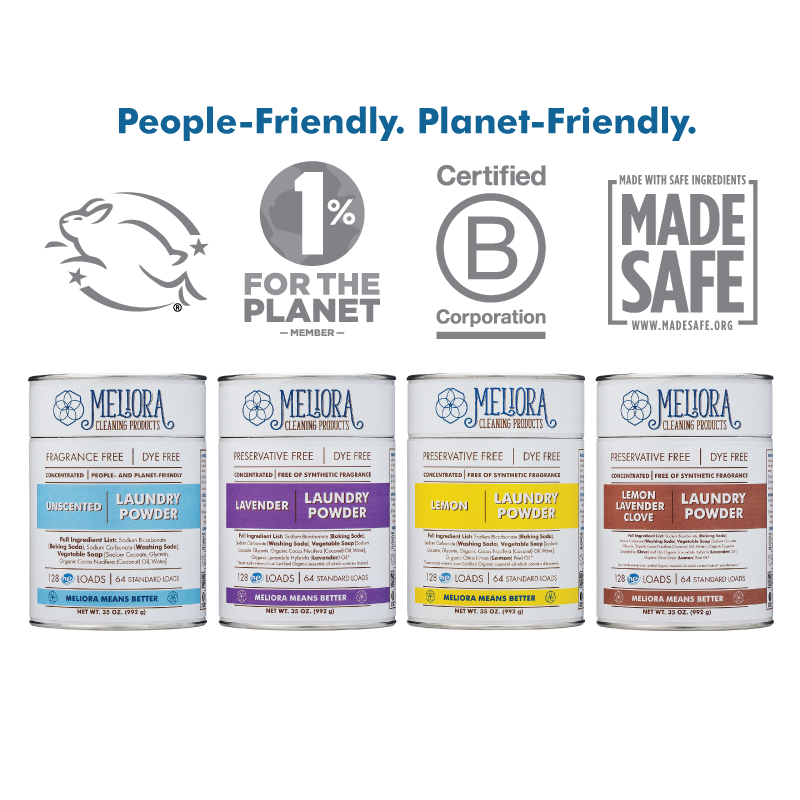 I personally love the products and have had great success with them. Irina, I agree that shampoos and conditioners seem very unlikely to grow new hair. But I have found something that has made a big difference in my hair. I started taking Great Lakes Collagen Hydrolysate for my bones and found that a bonus is that my hair is growing very fast with new growth sprouting all over my head as well as my nails are growing much faster as well. While my bone health is still my biggest concern, having some new hair growth is a true bonus. Obviously feeding from the inside makes a difference. My name is Jen and I am a market partner of Monat. I have been a hairstylist for almost 20 years. I am an 18 month long user of Monat and the Revive Shampoo. The shampoo has given me hair growth (noticed when a co-worker did my hair about 2.5 months after using the product—and she is NOT a Monat user or believer). The products give me such volume—-unlike anything else I have ever used before. Everyone wants to trash Monat. Fine, everyone is entitled to their own opinion. However, have you ever really looked at other shampoos? Keep in mind, I have not used off the shelf pharmacy shampoos in over 20 years. Also, many “professional” brands are now being sold off the shelf in the pharmacy (and some are not the real thing). So, no matter what you are using, be aware. Read labels. Be very cautious if you see your Biolage, Kenra, Sebastian, Redken, or other professional product, somewhere being sold other than a reputable salon. Sometimes that isn’t what it seems. You also mentioned the expense of Monat. I have had my conditioner of almost an entire year and I wash my hair almost everyday. In 18 months, I am only on my 4th bottle of shampoo. The shampoo is so concentrated that very little is needed. I was never, before Monat, able to use conditioner in my hair. My hair is so fine that any conditioner would flatten my hair and I had to work hard at making it look full. That is my experience. I use the products in the salon too because I love the way they perform and make the hair feel. Thank you for your time and I hope you respect my opinion as I have respected yours. I had recently a similar experience to a few previous readers. Three women in my family are Monat MPs so obviously I tried the product. I started off with Revive Shampoo and conditioner. Initially, I liked it a lot. My hair felt nice after and did seem to have some additional volume to it. After several months (I was into my 2nd bottle; wash every other day or so) my scalp began to itch intensely. I’ve never had dry/itchy scalp or dandruff in my life. I developed a small sore on my hairline near my part. When I would scratch my scalp, product built up under my nails. Ew!!! After several days of this not going away, I stopped using the shampoo and went back to an old shampoo I had. The itching stopped. I decided to give Monat a second chance and ordered the Smoothing shampoo instead of Revive. This didn’t make my scalp itch as much as the Revive, but it still itched to the point where I stopped using it and went back to my old shampoo. I used my old shampoo for 2 weeks and my scalp felt like normal. I didn’t have the volume like I did with Monat, but at least my scalp wasn’t itching and sore. Not to give up, one of my family member MPs gave me the junior line to try– it’s approved for child use, so it must be gentle, right? I just finished my second day of use and my scalp itched just as badly as it did when I used the Revive shampoo! I found a small sore on my hairline again, near my part. I will not be using ANY Monat shampoo again. I admit I am bummed because I really wanted to like the stuff. I have no idea what’s causing the itching (I’ve tried THREE Monat shampoos now). I’m glad I did not have severe sores and hair loss like some people experience, but it’s enough for me to discontinue use. My family members do not seem to have issues with it, just me. I’d like to know if/what allergen it is so I don’t buy a shampoo with the ingredient in it. Monat isn’t for everyone. Definitely stop using it. My husband developed an allergic about 8 months ago. He stopped using Monat and other hygiene products. The allergy didn’t go away, even after two weeks of no Monat. He has an appointment with the allergist soon. He started using the Monat again. I developed allergies in my late 30s. We can develop allergies to all kinds of things…using a product or eating something one week and be allergic to it a month later. I work with 2 women that sell Monet out of the salon, my boss doesn’t believe in the products and wants them to stop. We have a few clients including the manicurist and myself that are experiencing hair loss. She is upset cause this is going on in her salon. I feel the representatives are either brainwashed cause they prompted with come backs when the product is challenged or the money is so good they are willing to lie about it. I have disconnected use and hopefully my hair starts to grow back. So I used Monat for a few months and my hair grew super fast and it felt and looked amazing, so I signed up to sell it and so did my sister. Once we got our hands on some bottles and started looking up the ingredients because we are picky about chemicals we use, my sister said the main ingredient is formaldehyde, do you know if this is true? Also Dr. Jennifer Daniels says you can use Fo-ti and small willow root for thinning hair and in about 3 weeks you will see a difference. Most shampoos out there are junk. My personal experience with Monat was me trying to be supportive of a a cousin who’s only goal was to sell this chemical laden product. So I purchased it for my already full and healthy hair, but here we go, my review. The Revive and Renew all smelled like cheap heavy, heavy perfume that lead to constant headaches. At first my hair was shiny (a few days) and appeared lengthy but my soft wavy hair quickly became coarse and very dry. I had breakouts all on my scalp and and neck and my hormones were out of wack for the 3 months I used this shampoo. I tried the Peppermint smelling one since I could handle the scent a little better and felt like my skin on my hands were stripped, scalp itchy, dry and headaches. I have a healthy diet and choose very clean skincare, trying Monat was a breach of the normal. This was a year ago and there was nowhere on the internet that supported any adverse reactions, which I thought was weird since it is obviously cheap garbage with a fancy price tag. The Monat sellers know the in’s and out’s of this ” Wonder Product,” but they know zilch about health except by other means of companies just like theirs ” Some natural ingredients + cheap crappy ingredients = The new acceptable mainstream natural. Sorry no, but I am sure they have enough people buying this junk. Thanks for the post for the Mary Kay of Shampoo. Thank you for this review Irina. I wish I had seen it prior to my using Monat. A close friend started selling it so I tried some samples. I did not need any “help” for my virgin hair, I only used it to support her. My hair was in great condition, never colored, bleached, treated, nothing, I rarely even used a blow dryer on it! I used Revive Shampoo and Restore Leave-In Conditioner (was instructed to rinse it out) for ONE WEEK. First I developed a rash so I stopped immediately, then I got chemical burns, breakage, thinning and bald spots. This was NOT an allergic reaction. I have had allergic reactions to topical products over the years and not one made my hair break off or fall out. This was not caused by any medication or medical conditions, as confirmed by my doctors and blood work coincidentally done four days prior to its use. It was the products, the only change I had made. Here I am six months after stopping Monat and my hair is still falling out. Saw my endocrinologist today and my thyroid levels are still great, nothing else is causing this. Monat came out with a report last week about how they were tested and proven to be hypoallergenic and non-irritating, to me this just proves the fact that their products contain harmful ingredients causing damage to so many people and they can no longer say you just had an allergic reaction to it. Nine class action lawsuits against them should tell you something about the safety of their products, that’s for sure! Thanks Irina! I am still searching for a decent product to help my scalp/hair recover. So far, I like Hair Food (the sulfate free and gluten free one). You should really investigate better before writing reviews. First of all, if you haven’t seen a $30 bottle of shampoo, you aren’t qualified to review high end products. I have been selling products upwards of $100 per bottles for 18 years. Monat is superior, concentrated and well worth the price. Especially considering a bottle lasts generally 4 mos. Monat was passed by the EU with no formula changes, so if you had done proper research you could know for certain the percentage of benzyl alcohol is under 1%. Our fragrances are natural, and we use no petrols, in addition to a list of other ingredients Monat does not use in their dedicated facilities. I could tear this article to pieces. Your review is opinion only-you have done no research on Monat the company. 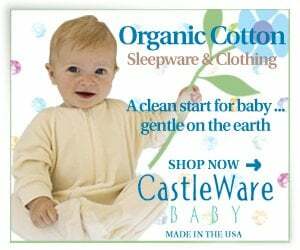 They take so many steps like using purified water, they do not boil their products to preserve potency, they source sustainably and are a very ethical, conscientious company. My goodness. My hairdresser who is an MP has said she has had more than one person who had allergic reactions to this product and told them immediately to stop using the products. This is obviously not for everyone and people should be alerted to that possibility. The good news is that my scalp has finally started healing and I am beginning to see some new growth after many months after stopping Monat. Quit yelling at us. I just found your article online and it was quite informative. My scalp had become insanely itchy about 2 months ago and I had been using the Monat products for about 6 months, so I really didn’t think that it was from that. I stopped using the product for a month and then tried it and after one use my itchy scalp returned, so it was incredibly helpful and informative to read that it’s possible that there can be a reaction over time. I did contact the company and they are willing to credit my account after I return the product. The shampoo and conditioner produced sores on my scalp and other skin it touched. My friend called her up line who said it was the peppermint oil. (I’ve never had a reaction to any oil, including peppermint). Though Monat states they offer a money back guarantee for 30 days, and I notified the seller on day 29, they claim a form was not filed, so no refund. Here’s the really good part though, when I posted a review about sores, they suggested a contact them so they could make it right. This sounded good. Instead of making it right, they tried to sell me more products and then notified me they were sending about $100.00 worth of stuff and charging my credit card. Stay away from these people. They are dishonest any way you look at them. I discovered your site because a friend has been promoting Monat and I was curious about the shampoo ingredients. Thank you for the education!! I too have lost hair on the top of my head (I’m black and my hair looks sort of like George Jefferson from the show “The Jeffersons”) and have been wearing weaves & wigs since 2002. Last year, Jan 2018, I finally said enough, there is no magic pill to rid me of this and it’s time to go natural. Saying that, I now make my own shampoo using coconut milk and Dr. Bronner’s liquid castile soap, use Apple cider vinegar as my conditioning rinse and 2x a day spray a mixture of the following in my hair: spring water used to soak fenugreek seeds, fresh aloe vera, vegetable glycerine and rosemary essential oil. This has stopped the hair breakage and slowly (very, very slowly) my hair is growing in. To everyone I say cut the cord to big business regarding your personal hygiene and go back to nature. It really isn’t that hard. Ever since December 2017, when I started Monat, my scalp started to chunk off in pieces. More hair has fallen out after a year. 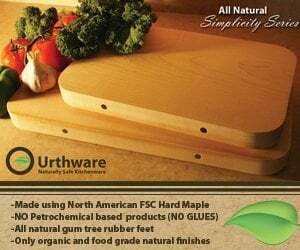 They have added hazardous ingredients since starting the business in 2014. The FDA has said awful stuff on their report for Monat Factories. Filthy, Dirty, Letting Rejuvabeads and Shampoo sit uncovered overnight in a huge metal container. They do not clean the nozzles in between filling bottles, so, basically shampoo could be in your rejuvabeads and vice versa. A SED has been threatening to many MP’s under her on her page. Lying about being on S3 supplements by Monat for 3 weeks and showed difference of pictures and before picture was from way over a year ago and deleted it. She has personally attacked me and others via email….bullying. She’s making people sign up for pro back office or you’re booted from her page. If you aren’t selling on her terms, not Monat’s terms, she threatens you and then boots you off the site. Also, her and several other SED’s are flaunting their expensive purchases and doing video hauls of their purchases. Monat had notice of this and never gotten taken care of and deleted off my account the 4 hour phone call. Compliance never gets back to you via email. Now, their dry shampoo actually has changed ingredient and says flammable on bottle, and they say it’s not flammable. They are greedy, don’t make the products with any quality, source their products from cheap areas of the world, and don’t practice what they say. Also, got email saying that MP’s wanted the annual renewal rate to go up to 30 bucks more per month. Where did this come from? They never surveyed us nor asked us nor let us know. The extra money goes towards SED’s coming down to Miami and staying at 500 plus per night resorts on the beach, getting extra behind he scene bonuses, and first class….they say they make decisions for the company. Apparently, one director revealed that they made decision so they can take Directors Retreats to Baha Mar in the Bahamas and for their incentives. That is extremely disturbing. A lot have decided not to renew and selling their extra products through Facebook pages and other places. They are not number 1 haircare company, like they say. BBB has rating as the worst they can get and so many complaints. Customer service is a joke. Also, we have been over taxed and people noticing, and State of FL will be getting all these invoices anonymously and they will be caught and exposed via the news on TV. They have become overly greedy and cheating, taking short cuts, saying stuff that isn’t true. Their warehouse is extremely hot inside and don’t keep track of products and how old they are. They can’t even tell you by the lot number when that product was manufactured. They say 2 years shelf life unopened (could have been sitting in hot warehouse for a yr or already 2) and after opened 1 yr. They say they have scientists that test each batch and are all small batches. The FDA stated large batches. Also, each batch not tested. Also, Monat stated that their scientists have over 50 years of experience. That means they are in late 70’s/early 80’s. They also put out a video saying all lawsuits against them (3) which is really (11) were settled and they won. They have not been settled and proof all over with each law firm. The judges keep changing because Monat is trying to hush it with bribing the courts and judge. They will not be around for that long. Independent dermatologists are as of now testing their products from a third party. Bacteria growth has been found in new opened bottles. There are a lot more plant based companies that sell better shampoo straight from their website. They tell you exactly all what’s in it and explain each ingredient, they are rated A on EWG, and disclose parfume/fragrance. Monat won’t disclose that and can be any of 3,500 toxins that causes cancer, and infertility, and a whole bunch of other harmful issues to your body. Stay away from Monat and do your research. For the SED attacking people, this company won’t be around that much longer, I suggest you be true to yourself and others and stop lying and cheating. You need Jesus in your heart and life and you don’t by all your ethics and greedy and also attacking MP’s via email and that’s beyond bullying and a group of MP’s are pursuing to sue you. You know who you are. There is all the evidence the lawyer needs and it’s a lawyer you’d never be able to win with. Good luck!